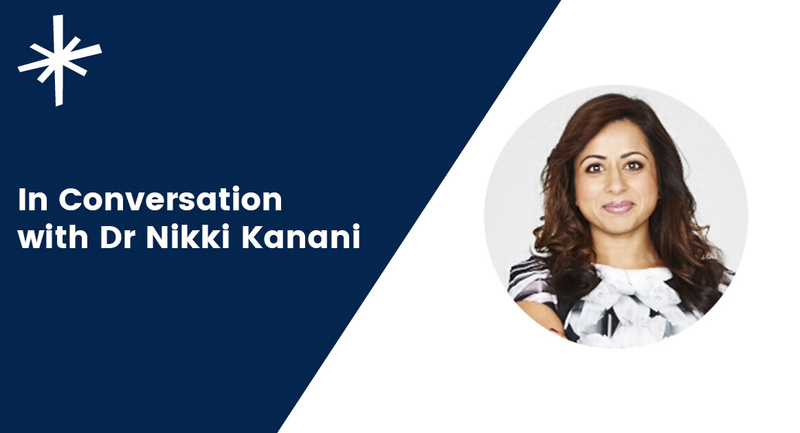 Dr Nikki Kanani has held a range of positions within the NHS, focussed on supporting the development of innovative models of care. Today, she is balancing careers as a GP and Acting Director of Primary Care at NHSE (as well as being a mother of 2). Her recent promotion from Deputy to Acting Director has brought with it the challenge to transform primary care from a reactive medical model to a proactive population-based delivery preserving General Practice at its core, where practices of all sizes are celebrated and supported to deliver high quality care. We sat down with Nikki to discuss the work she is doing to support sustainable general practice in primary care. In her new role as Acting Director of Primary Care at NHSE, one of her key goals has been to improve connectivity and community in general practice. Nikki has taken on this responsibility herself and holds herself accountable its success. Her strategy is to meet as many front-line GPs, managers and partners as possible and open a line of communication with them. And she is delivering on this in a number of ways. As and when possible, she spends time in the field and actively engaging and listening to the thoughts and concerns of the people she connects with. Each week, her aim is to meet a new set of GPs, or primary care professionals. As well as using her own experience as a GP and tapping into and listening to the concerns of GPs, Nikki also works with other national clinical experts to develop and drive primary care strategy. Her deputy director, Dr Raj Patel, is a GP outside Manchester, who has decades of experience looking at the role of community pharmacies, workforce initiatives, governance, serious incidents, NICE consultations and standards setting in general practice. And finally, when face-to-face opportunities aren’t possible, she has developed a more digital approach - which has been a great success to date. Nikki recognises the importance of engaging with digital tools and the positive impact they can have, when implemented appropriately and safely. Building on her knowledge and experience within the NHS, she created a WhatsApp group for primary care leads across the country. The fact that the line of conversation is not face-to-face has not been detrimental. It has allowed her to participate in live, topical and, at times, challenging conversations and has made it easier for her to open herself up to the wider primary care network. This group has shown her a variety of role models and leadership styles. This, combined with the conversations taking place in the group, has enabled her to paint a realistic picture of primary care, and deliver concise feedback within and outside the organisation on what needs to be improved. It has also empowered her to play a role in the ongoing GP contract negotiations. So what is she leading on at the moment? With little headspace to adapt to her new role over the summer, the legwork Nikki has already done is impressive, and she has embraced the challenge with positivity and determination. She’s been working to encourage collaborations within and outside the organisation, including for primary care delivery, the partnership review, the premise review and developing the vision for primary care. This enables better alignment with improving frontline GPs, as well as the delivery of services for patients. Nikki has spent a considerable amount of time understanding what is happening in the profession, and is developing a strategy to ameliorate workload pressures in day-to-day practice. Nikki is collating the findings from the partnership review, premises review and experiences from the GPFV and with colleagues, she is developing the Primary Care Networks 5-year financial plans and the 10 years aspirations. This ranges from complex care, CVD, respiratory but also the infrastructure that underpins it like data, technology, premises and workforce needs. As part of the NHS Long Term Plan, published on 7 January, the Government announced how it would invest an additional £4.5bn a year to improve primary and community care by 2023-24. This is something Nikki has been working on with Dominic Hardy, the Director for Primary Care Delivery at NHSE. His key responsibilities include expanding the GP workforce, improving primary care facilities and new technology and creating more diverse primary care teams. You can read more about the long-term plan in the NHS bulletin. Nikki fully appreciates the need to create the right incentives and to not undermine the role of the individual practice or practitioner. Value-based healthcare exists in communities and is the basis of the recommendation to collaborate and form structures that serve a population of 30,000 -50,000 to address regional health inequalities and support local delivery. How do we maintain continuity at scale? What would continuity look like for care homes and in multi-morbidity? How do we make partnerships enticing again? How do we make the job sustainable and exciting? Nikki and the NHSE team recognise the opportunity to work with the GPC to offer longer term funding, removing siloed pots which often makes practising unsustainable. Examples include the clinical pharmacist scheme, which is being refreshed to make the process simpler. It starts with seeing professionals thriving - they feel like they’re doing what they were trained to do, get a sense of satisfaction from their work and have more time to spend with their families and on personal projects. A resilient and robust primary care, with the population as the core focus and the successful reduction of health inequalities. Cross-sector working across organisations, and a removal of the traditional care boundaries. 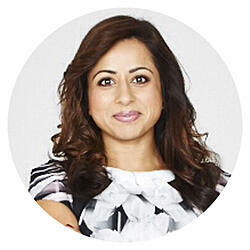 Dr Nikki Kanani is a GP in south-east London and is currently Acting Director of Primary Care for NHSE England. Prior to joining NHS England as Deputy Medical Director of Primary Care, she was Chief Clinical Officer of NHS Bexley Clinical Commissioning Group (CCG). She is a member of The King's Fund General Advisory Council and holds a MSc in health care commissioning. With her sister she co-founded STEMMsisters, a social enterprise supporting young people to study science, technology, engineering, maths and medicine. She has two young children.